Which Summer Shoe Should You Add To Your Closet? What summer activities have you penciled in? 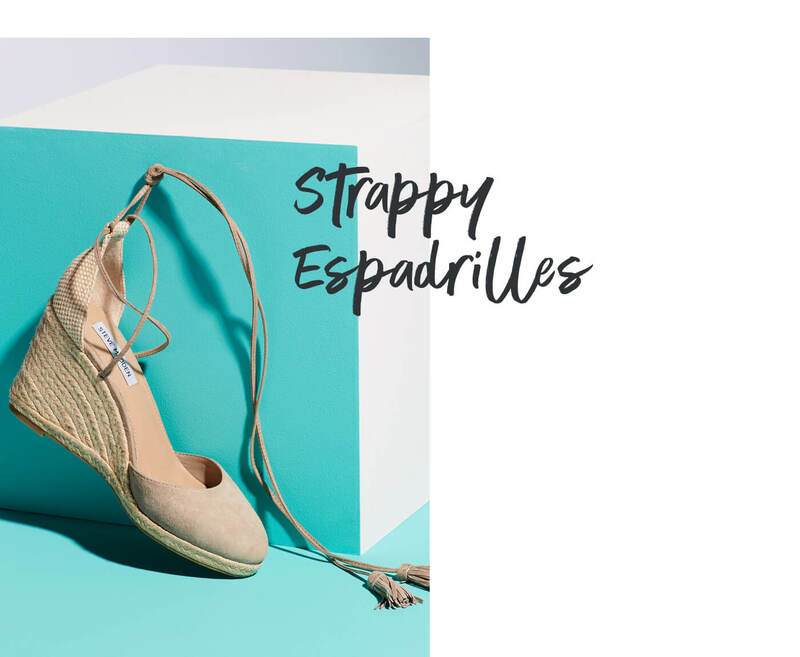 Whether it’s lounging poolside, attending a slew of summer weddings or posting up in front of the AC—it’s time to update your shoes summer! But first, take our quiz to find out which pair of cute kicks best fits your style. Keep scrolling to learn how to style your summer shoes! Lengthen your legs without killing your feet in effortless wedges perfect for elevating your look (literally). Spring for a neutral color this season—like camel or tan—to go with your summer outfit lineup. Don’t be intimidated by the name—it’s just a sandal with the volume turned up! 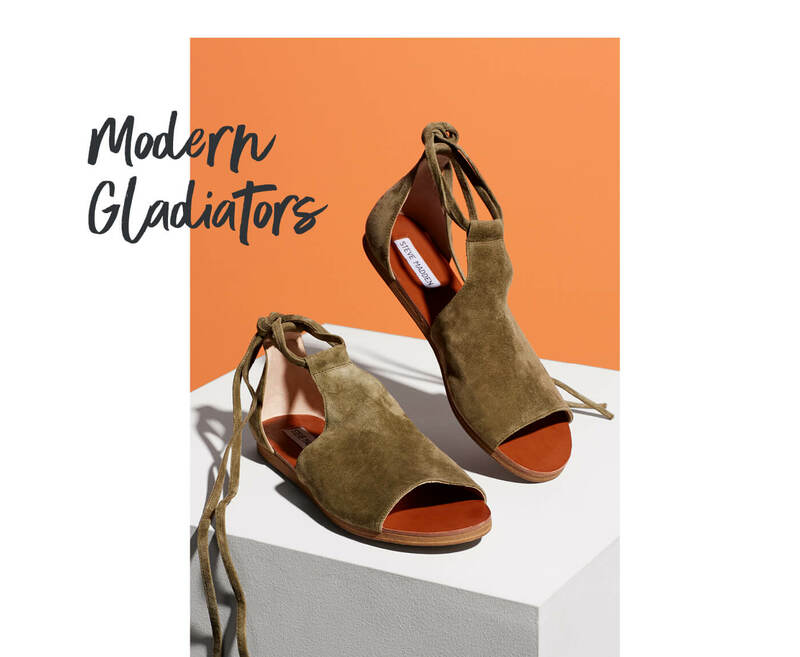 Comfortable and always chic, the gladiator sandal is the way to elevate a simple summer outfit. Yes, you can wear sneakers, especially this summer. 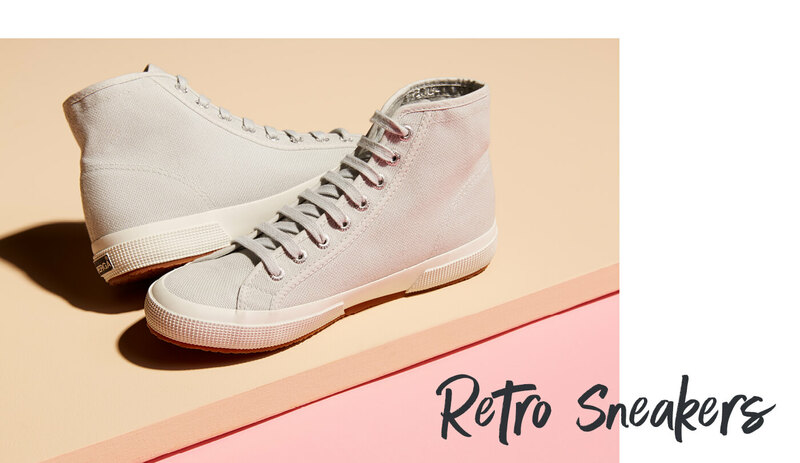 Super stylish and totally comfortable, grab a pair of high top sneakers to make an outfit instantly effortless. Want to dress down a sundress? Grab a pair of sneaks, then layer up with a jean jacket! Stay ahead of the trend curve with some texture play! Give texture details a try this season—think: woven patterns on platform heels or a mixed material on strappy sandals. For styling, try a tonal outfit, then add graphic texture for a chic summer look. Or, use these details as a way to step your toe into the shallow end of print mixing. The minimalist’s best friend. 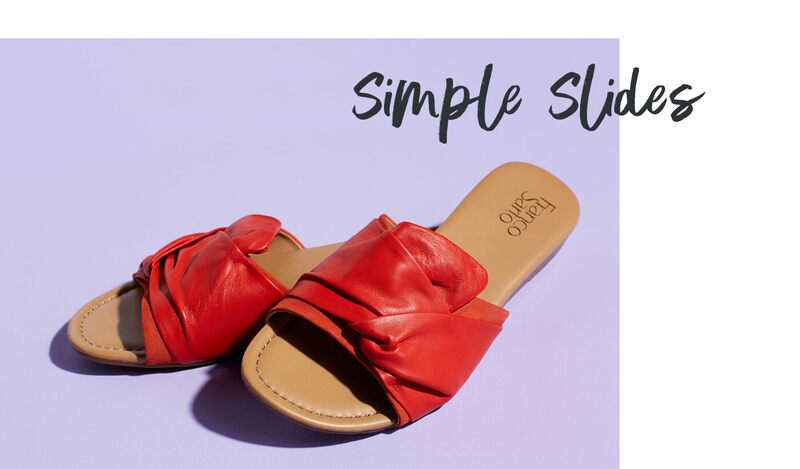 Think of these as the mules laidback sister. Perfect to wear everywhere from your 9-to-5 to your weekend poolside stint. Try them in bold hue or a metallic sheen to put your best foot forward! Ready to put your best foot forward? Make sure to let your stylist know your summer shoe picks in your next Fix!